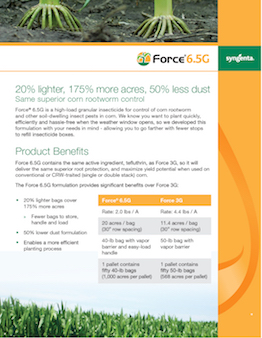 Force 6.5G is a high-load granular insecticide designed for growers who want control of corn rootworm and other soil-dwelling insect pests with enhanced convenience. 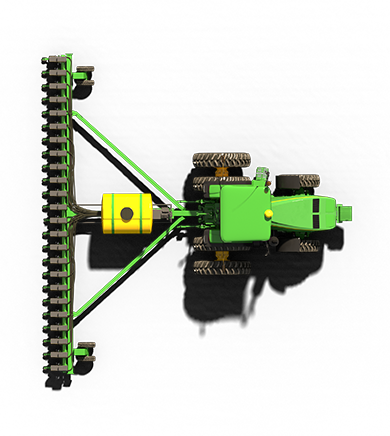 This formulation goes farther and results in fewer stops to refill insecticide boxes, which allows faster, more efficient planting with less hassle. Force 6.5G resulted in significantly reduced dust-off compared to Force 3G and Aztec® 4.67G. 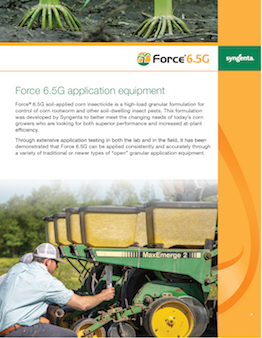 Force 6.5G has the lowest per acre rate of formulated product in the granular bag segment. Force 6.5G contains the same active ingredient, tefluthrin, as Force 3G, so it will deliver the same superior root protection, and maximized yield potential when used on conventional corn or CRW traits (single or double stack). 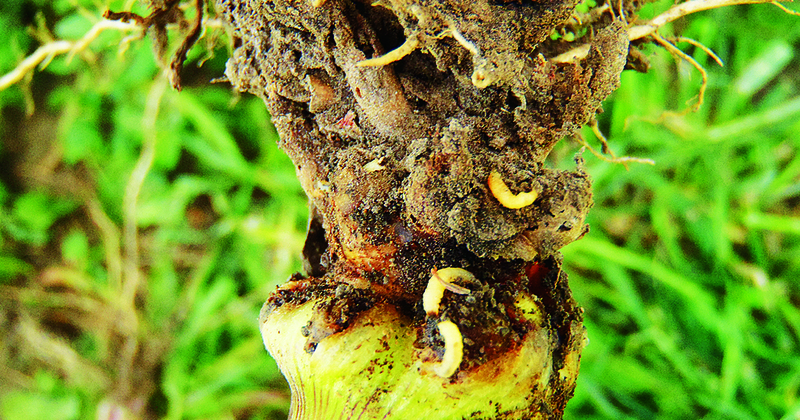 Corn rootworm is a tiny pest that can take a big bite out of a farm’s bottom line. Corn rootworm pressure can vary from year to year and location to location, but this resilient pest is highly adaptable and can wreak havoc even when least expected. Each year it costs U.S. corn growers more than $1 billion, so it’s important to have a highly effective insecticide to control the pest before it damages corn. Force 3G and Force 6.5G are Restricted Use Pesticides. Force®, the Alliance Frame, the Purpose Icon and the Syngenta logo are trademarks of a Syngenta Group Company. All other trademarks are the property of their respective owners.